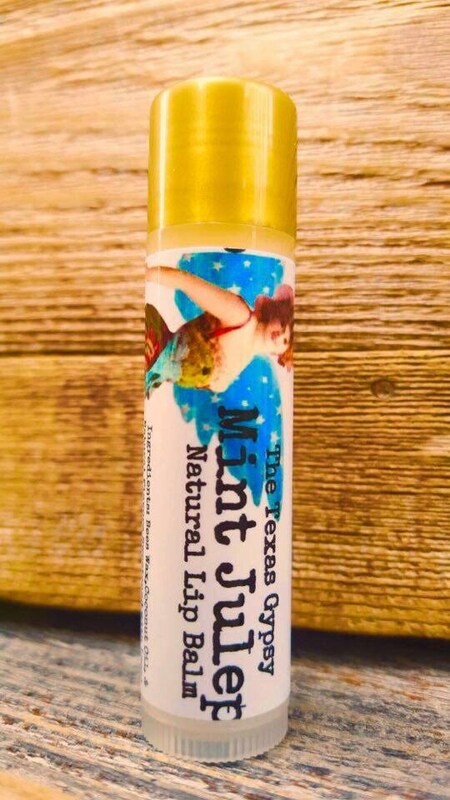 Our Mint Julep Lip balm is made with all natural organic bees wax shea butter,and coconut oil . Flavored with Herbal Sweet Mint. I love this lip balm because the mint is not over powering but very slightly cooling. Really helps heal those chapped lips or keeps them from getting chapped! 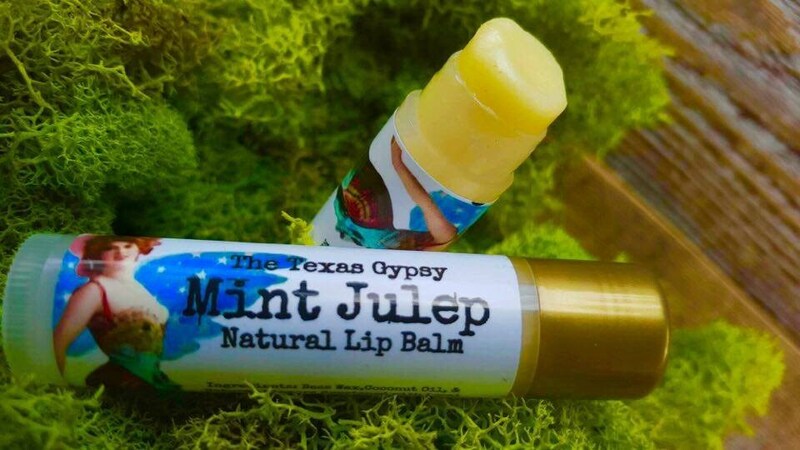 All of The Texas Gypsy handcrafted products are NEVER TESTED ON ANIMALS! his product is not intended to treat or cure any illness or sickness. Please purchase products after you have read all of the ingredients and have read through all of my policies.I am not responsible for any allergic reactions or such problems, unless you have told me prior to shipping that you are allergic and/or would like an ingredient replaced and i have failed to do so. Please order my products after you have contacted me about an allergy or problem if there is one. I will do my absolute best to work with you. Please also take note that these products are 100% natural and handcrafted, therefor color variation might occur. Thank you so much for your consideration.